In retail, hang tags are the bow on the package. They tie it all together and help your product stand out. Over the years, we’ve helped tiny brands look big and big brands look their very best. 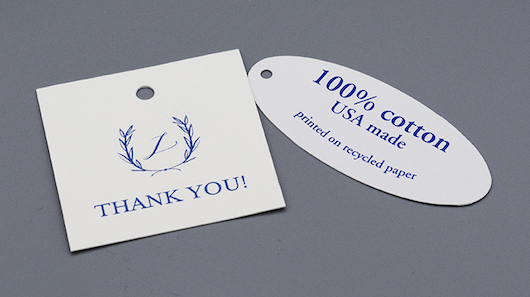 Virtually anything that can be done in printing can be done with hangtags, and we can do it all, from printing on custom papers to special materials, custom shapes and die cuts, embossing, foil stamping, soft touch printing and more. We’ll help you put the perfect bow on your product and brand.